Thought I’d share some of Scarlett’s favorites for breakfast each day. We keep it pretty simple most days because I am always on the quick go in the mornings on the week days with trying to get Angelo to school on time. Scarlett loves scrambled eggs and she’ll have them if I make them for myself B U T for the days I don’t have enough time to whip some eggs up I stick to these two cereals. I’ve used Nestum ever since having Angelo. It was one of his favorites for the rich yummy flavor. It has like a sweet vanilla smell to it. I usually can find this at Publix. The Nurturme quinoa + banana is something new I picked up about two months ago. She LOVES this stuff! The best part its organic and a much better alternative to giving your baby rice cereal. If you didn’t know the board of pediatric has redone research on the health benefits of baby rice cereals and its no longer recommended to be given to babies. They have discovered a high in arsenic to be available in rice cereals so I decided to just plain cut out the rice cereals and stick to other iron fortified cereals like oats, barley and wheat. 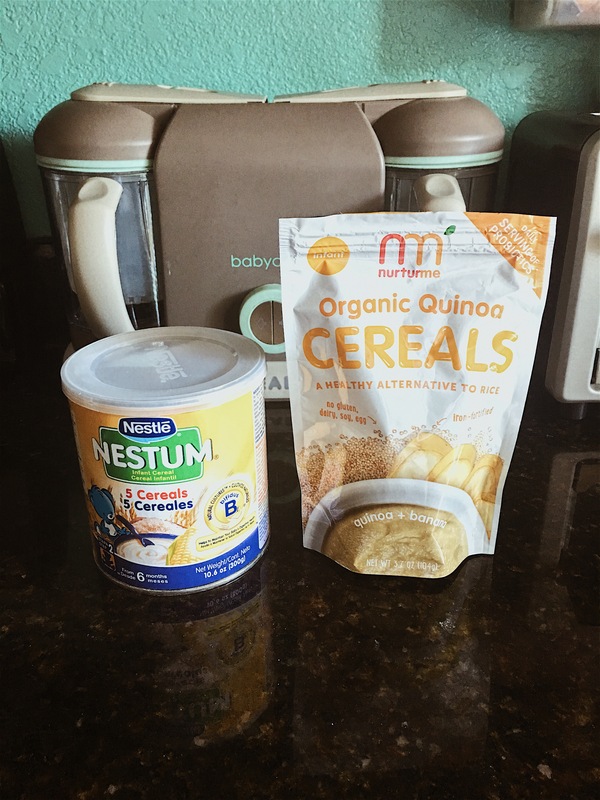 When I came across Nurturme and quinoa I was very surprised and decided to give it a try. Its worked out well for us and they offer different mixes of flavors like quinoa + apple, quinoa + sweet potato + raisin, and a protein packed option as well. You can find this brand at Target! Since both these products are liquid based in the process of prepping. I was on the hunt for the perfect bowl to use. Something with a sturdier bottom and easy to clean. A lot of those plastic bowls keep most residue still on it even if you hand wash it. Thats where Silikids comes in the picture. They kindly sent over some of their products for me to try and they honestly came at the right time because like I said I’ve been lookong for the perfect bowl. Silikids is a company of silicone based childrens tableware and cups/sippys but their stuff is pretty unique. I have been using the Silibowl for breakfast time very frequently. The bowl brings a lid that can be used as a plate and a lid to store away left overs. The lid has a air tight squeeze which leaves food fresh. The bowl can be used in the microwave and it is dishwasher safe as well. Also their Siliskin Sippy Cup is such an amazing invention!! This sippy cup can be used by both Scarlett and Angelo. 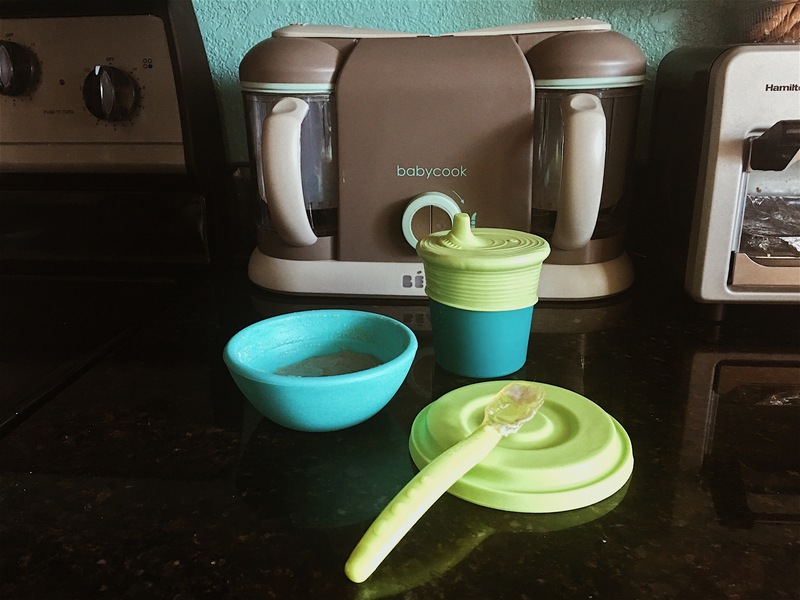 The top of this sippy cup is a stretchy silicone material that can be used over cups of multiple sizes. Which leaves the bottom portion accessible for a bigger kid to use as a regular cup! How freaking A M A Z I NG is that!! It’s a 2 in 1 cup and perfect for home or traveling. Once again it is dishwasher safe, 100% silicone, and can be boiled to sterilize. Once Scarlett gets a bit older her breakfast routine will start to change and I’ll keep you guys updated on that! I’ve never seen these products before! I will have to look for them for baby #2! Thanks for sharing! Yes I’ve always seen them and thought how cool the stretchable sippy cup band is! Definitely check it out! Ok I so need the sippy lid for my little!! We do A LOT of silicone products since it’s a safe product for my mother in love to touch!! Yes so much better than plastic! We have all those products and my boys love them! This was a great roundup of items! Thats great! We love them! So funny! Rylie lives the Nuturme Quinoa in banana as well and scrambled eggs!! So cute! Its her favorite for sure!